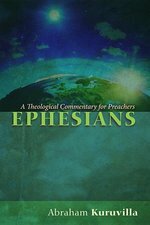 Ephesians: A Theological Commentary for Preachers engages hermeneutics for preaching, employing theological exegesis that enables the preacher to utilize all the units of the Letter to craft effective sermons. This commentary unpacks the crucial link between Scripture and application: the theology of each preaching text, that is, what the author is doing with what he is saying. Ephesians is divided into twelve preaching units and the theological focus of each is delineated. The overall theological trajectory or theme of the book deals with God's consummation of all things in the cosmos in Christ, and the role of the church in this grand and glorious divine operation. This theme is progressively developed in Ephesians, in each of the twelve passages. 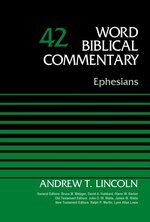 The specific theological thrust of each unit is captured in this commentary, making possible a sequential homiletical movement through each pericope of Ephesians. While the primary goal of the commentary is to take the preacher from text to theology, it also provides two sermon outlines for each of the twelve preaching units of Ephesians. 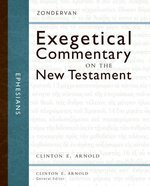 The unique approach of this work results in a theology-for-preaching commentary that promises to be useful for anyone teaching through Ephesians with an emphasis on application. Abraham Kuruvilla is Professor of Pastoral Ministries at Dallas Theological Seminary, and a dermatologist in private practice. He is the author of Text to Praxis: Hermeneutics and Homiletics in Dialogue (2009), Mark: A Theological Commentary for Preachers (2012), Privilege the Text! 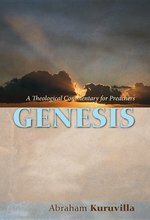 A Theological Hermeneutic for Preaching (2013), and Genesis: A Theological Commentary for Preachers (2014). He blogs regularly at www.homiletix.com. Harold Hoehner has taught biblical exegesis to thousands of students over the years. He now brings that experience to bear on this important work. He begins with a helpful introduction to the letter of Ephesians in which he addresses issues of authorship, structure and genre, historical setting, purpose, and theology. At the end of the introduction, the author includes a detailed bibliography for further reading. 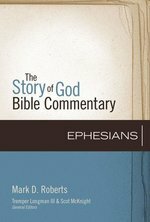 Hoehner then delves into the text of Ephesians verse by verse, offering the Greek text, English translation, and detailed commentary. He interacts extensively with the latest scholarship and provides a fair and thorough discussion of every disputed point in the book. Pastors, students, and scholars looking for a comprehensive treatment on Ephesians will be interested in this commentary. Hoehner's interaction with the latest scholarship combined with his detailed exegesis will make this new commentary the only resource they will need to consult. 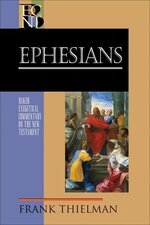 Noted New Testament scholar Frank Thielman offers pastors, students, and teachers a substantive yet accessible commentary on Ephesians in this addition to the award-winning BECNT series. With extensive research and thoughtful chapter-by-chapter exegesis, Thielman leads readers through all aspects of the book of Ephesians--sociological, historical, and theological--to help them better understand its meaning and relevance. As with all BECNT volumes, this commentary features the author's detailed interaction with the Greek text and an acclaimed, user-friendly design. It admirably achieves the dual aims of the series--academic sophistication with pastoral sensitivity and accessibility. In his letter to the Ephesians, Paul emphasizes the unity of believers in the inaugurated new creation. He first sets before his audience the salvation freely offered to us through faith in Christ, then applies this truth to their lives, calling them to live lives of love. In this volume, S. M. Baugh approaches this important letter from a first-century perspective, examining ancient sources to determine what Paul's words meant in their ancient context, while also interacting with recent scholarship. The result is a commentary that is academically rigorous and at the same time presents Ephesians as the good news it was meant to be. The Evangelical Exegetical Commentary series incorporates the latest in critical biblical scholarship and is written from a distinctly evangelical perspective. Each comprehensive volume combines historical and literary explanations with insights for understanding the text within the Bible's larger story and applying it to everyday life. Designed for the pastor and Bible teacher, this series brings together commentary features rarely gathered together in one volume. Written by notable evangelical scholars, each volume in the Zondervan Exegetical Commentary on the New Testament series treats the literary context and structure of the passage in the original Greek. The series consistently provides the main point, an exegetical outline, verse-by-verse commentary, and theology in application in each section of every commentary. Critical scholarship informs each step but does not dominate the commentary, allowing readers to concentrate on the biblical author's message as it unfolds. While primarily designed for those with a basic knowledge of biblical Greek, all who strive to understand and teach the New Testament will find these books beneficial. The ZECNT series covers the entire New Testament in twenty volumes; Clinton E. Arnold serves as general editor. In this volume, Clinton Arnold offer pastors, students, and teachers a focused resource for reading Ephesians. Through the use of graphic representations of translations, succinct summaries of main ideas, exegetical outlines and other features, Arnold present Paul's epistle to the Ephesians with precision and accuracy. Because of this series' focus on the textual structure of the scriptures, readers will better understand the literary elements of Ephesians, comprehend the author's revolutionary goals, and ultimately discovering their vital claims upon the church today. "Atrip across holy ground..". that is author John I Durham's phrase to describe a journey through the Book of Exodus, the stirring story that records the liberation of the Hebrews from their captivity in Egypt and stands as an important link between the Genesis account and subsequent history of the nation of lsrael. Composed as it is of pieces of narrative, sequences of laws, and a carefully ordered system of religious symbols, often marked by shifts of style and emphasis, the book nonetheless did not come together without guiding purpose or unified concept, says Dr. Durham. Unfortunately, for several generations, scholars have allowed themselves to be distracted by specialized concerns and have thus often failed to provide an understanding of the book as a whole. This well-balanced commentary reflects throughout the author's aim to show the theological unity of Exodus in its canonical form - the theme of Yahweh present with and in the midst of his people Israel. 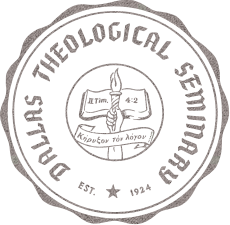 He gives careful, scholarly attention to such topics as: The evidence for the plight of lsrael in Egypt The call of Moses and the proof of Yahweh's Presence The institution of the Passover The exodus itself The relation of the Ten Commandments to the Book of the Covenant through Moses The symbolism of the tabernacle, Israel's portable temple. Dr. Durham considers fairly the arguments about the structure, form, and date of the Exodus material as well as controversies over the factual nature of the narrative. Even more important, he has made it his priority to hear the ancient voice of a living faith speaking in this ancient narrative and to transmit it as clearly as he can to his own time and context. His success is borne out in a translation that is both the beginning and the objective of his commentary. JOHN I DURHAM is Professor of Hebrew and Old Testament at Southeastern Baptist Seminary in Wake Forest, North Carolina. He has written widely on Old Testament themes, serving as Consulting Editor for the Broadman Bible Commentary and writing the volume on Psalms in that series. He has the Ph.D. from Oxford University and has done post-doctoral studies at Heidelberg, Oxford, Zurich, and Jerusalem. The Word Biblical Commentary delivers the best in biblical scholarship, from the leading scholars of our day who share a commitment to Scripture as divine revelation. This series emphasizes a thorough analysis of textual, linguistic, structural, and theological evidence. The result is judicious and balanced insight into the meanings of the text in the framework of biblical theology. These widely acclaimed commentaries serve as exceptional resources for the professional theologian and instructor, the seminary or university student, the working minister, and everyone concerned with building theological understanding from a solid base of biblical scholarship."